Combining the incredible luxury of Crystal Cruises’ impeccable service, superb dining and enrichment experiences of all kinds – with Asia is a recipe for enchantment. The Crystal Experience has been rated World’s Best more than any other cruise line, hotel, or resort in history, and there’s a reason for that. From the outstanding appointments in staterooms and suites to the near telepathic, warm service, Crystal provides stimulation and cosseting in such measure that it’s a very hard act to follow. The line is substantially expanding its presence in Asia next year, bringing both the 922-passenger Crystal Symphony and the 1,080-passenger Crystal Serenity to the region in winter, spring and fall. With an explosive increase from four Asian cruises in 2012 to 34 in 2014, Crystal offers itineraries exploring China, Japan, Thailand, Singapore, Vietnam, Cambodia, Indonesia, Malaysia, Myanmar and Brunei. 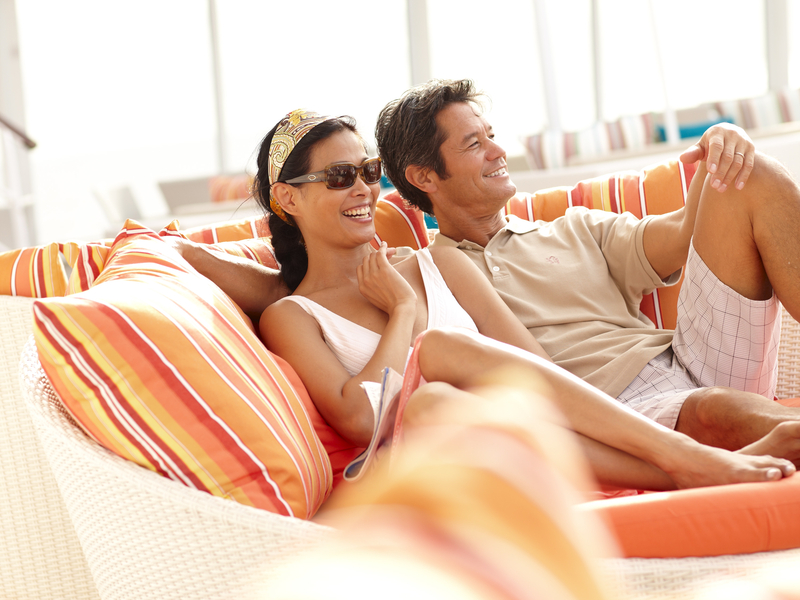 The five- to 29-day cruises offer a host of itinerary firsts and varied options. New routes include Crystal’s first-ever cruises to begin and/or end in Bangkok and a two-week voyage round-trip from Singapore. Bali, introduced as a home port in 2013, is where four cruises begin or end, providing options for pre- and post-cruise stays. In addition, for the first time, Crystal will make maiden visits to Malacca, Malaysia; Lombok, Makassar/Ujung Pandang and Surabaya, Indonesia. Crystal’s ships also return to some fascinating ports its ships have not visited for several years, including Bandar Seri Begawan, Brunei; Jakarta and Komodo Island, Indonesia; Yangon, Myanmar; Koh Samui, Thailand; Kuala Lumpur, Malaysia; and Okinawa and Tokyo, Japan. Also, for the first time in five years, two cruises will explore more of Japan, as well as China. For example, a Beijing-Tokyo voyage with Osaka, Nagasaki, and Shimizu, Japan; and Shanghai and Dalian, China includes a complimentary Beijing land package. A very unusual and colorful way to celebrate the holidays is a new cruise, roundtrip Bangkok, with a once-in-a-lifetime New Year’s Eve built around a spectacular light show in Hong Kong. Guests can add on the preceding voyage beginning in Bali, without repeating ports. For those with less time or who want to combine a cruise with more land experiences, shorter Crystal Getaways offer new Asia cruises for as little as five days – starting at just $1,520 per person. 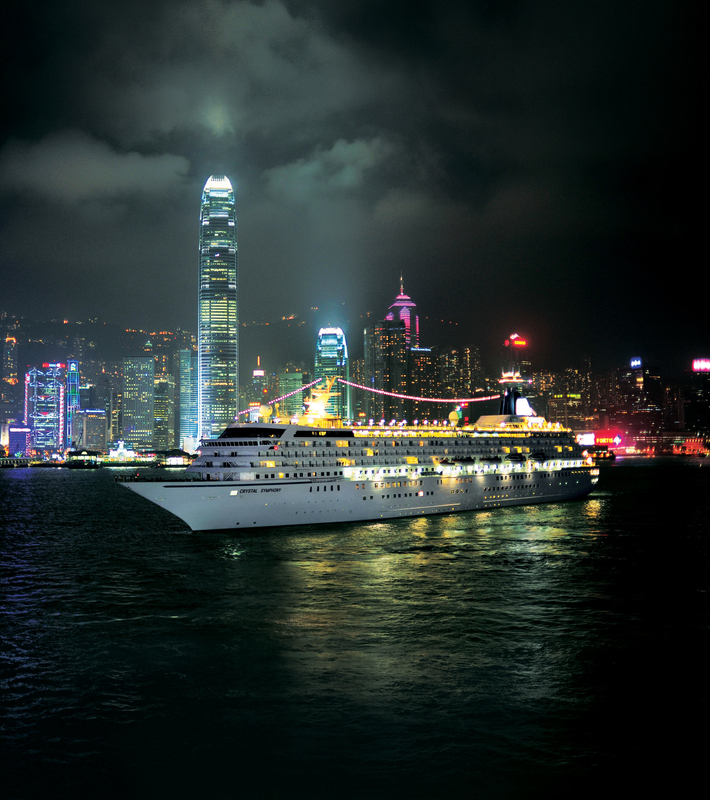 Every 2014 Crystal Asia cruise features at least two overnight stays, with the ship acting as a floating hotel as guests take in the sights by night and day in rich destinations like Hong Kong, Ho Chi Minh City, Yangon and Shanghai. Onboard, there are surprises for guests who haven’t cruised with the line recently. 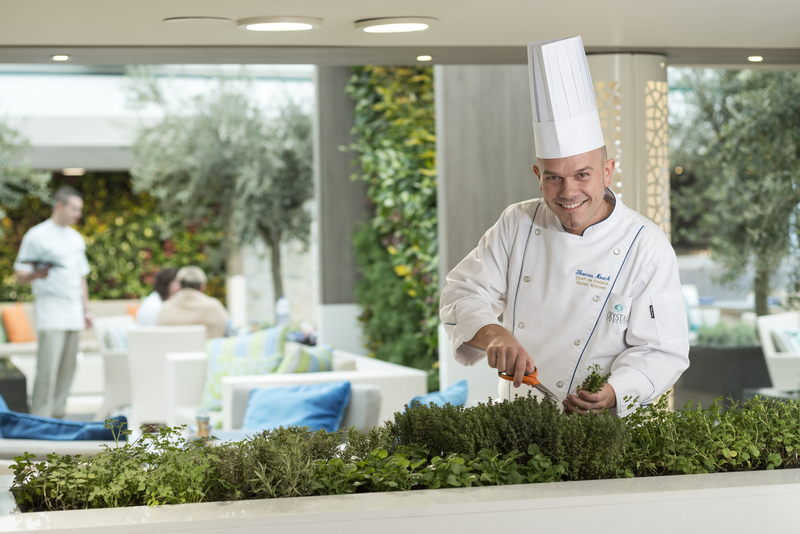 Crystal has opened up its dining schedule and set its fares to include gratuities, dining in specialty restaurants and beverage, both fine wines and premium spirits and specialty coffees, bottled water and soft drinks. From its Nobu restaurants and the enormous wine section to its exquisite breakfasts, the ships please a very demanding clientele. Formal evenings have been reduced and most nights the dress is country club casual. Fares now cover beverages (including fine wines and premium spirits, plus all non-alcoholic beverages such as bottled water, soda, juices and specialty coffee drinks); gratuities for housekeeping, dining and bar staff; and dining in the ships’ specialty restaurants and sushi bars. The company is strong on social responsibility, with policies including sourcing all seafood will from sustainable and fair trade vendors. Crystal pioneered computer learning with its Computer University @ Sea labs and it offers a varied and creative selection of shore excursions from the complimentary service opportunities that allow guests to help local communities and receive top ratings, to the exclusive onshore experiences like touring Florence in a Ferrari ($8,900). The line’s two ships are very elegant without being stuffy. Crystal Serenity received a very well planned $25 million refurbishment in 2011 and the Symphony finished a five-year, $65 million plan to redesign every space on board last year. An important tip: the Penthouse staterooms, complete with beautifully trained butlers, sell out first, so it is best to book early. Passengers tend to be very well traveled and well educated, with an older demographic on the longer cruises, and friendships are struck up that last years after the cruise is finished. The combination of Crystal and Asia should be one of the most satisfying yet; the dramatic expansion indicates that the line thinks so. To read the Luxe Beat Magazine version of this article click on the title CRYSTAL SAILS IN TO ASIA.